Michelia Figo (syn Magnolia figo) is available in a number of species or cultivars (including standard forms) including the large leafed form M. figo ‘Coco’. Growing well in full sun to part shade Michelia Figo which is commonly known as the ‘Port Wine Magnolia’ will reach a height of 4 – 5m. 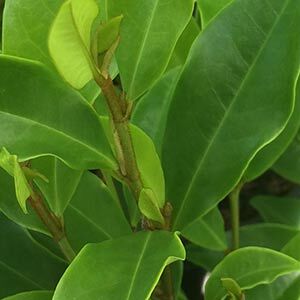 Michelia figo is widely used as hedge or screening plant, frost tolerant and with nice scented flowers. This is a shrub that copes well in a range of conditions but does not like hot dry positions. Look for cultivars such as ‘bubbles’ and the well know’ mixed up miss’ . 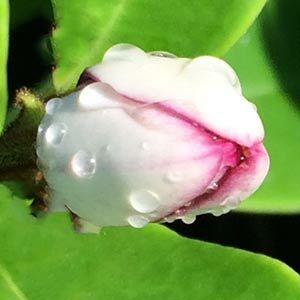 Michelia Figo or ‘Port Wine Magnolia’ can be used as a hedging plant, or planted as a fragrant plant near a pathway where the sweet perfume from the flowers in spring can be appreciated. Also suited to growing on a deck or balcony in a container. Pruning is generally not required as this is a slow growing, naturally neat and compact plant. However you can prune lightly each year to maintain size as required. Fairly slow growing taking around 10 – 12 years to reach 3m in height, the Port Wine Magnolia requires little pruning. Prepare for planting in a slightly acid soil, humus rich and well drained. Full sun to afternoon shade in warmer areas. Humus rich moist soil with good drainage. Use a slow release general purpose fertiliser in spring. Top dress with a little blood and bone in late winter. A versatile plant that will grow in full sun to part shade. Mulch well to provide a cool root run. Fertilize in spring.